All-inclusive kit creates a Pondless Waterfall with up to a 26 ft. stream using an AquaSurge® PRO 4000-8000. 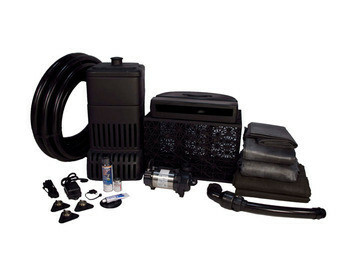 All-inclusive kit creates a Pondless Waterfall with up to a 16 ft. stream using an AquaSurge PRO 2000-4000 pump. 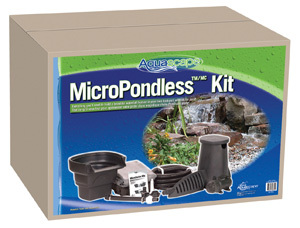 All-inclusive kit to create a Pondless Waterfall with up to a 6 ft. stream. 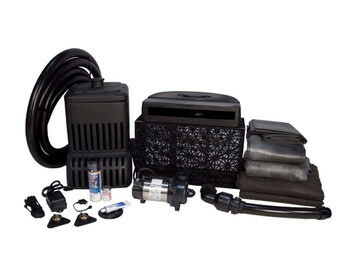 All-inclusive kit creates a Pondless Waterfall with up to a 16 ft. stream using a Tsurumi 3PL pump. 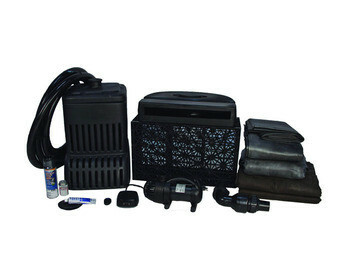 Pondless kit contains MicroFalls Filter, MicroSnorkel Vault, MicroCentipede Module, AquaSurge 2000 pump, 10' x 12' pond liner, underlayment, 25' of 1 1/2" kink-free hose and all necessary fittings and silicone sealant.